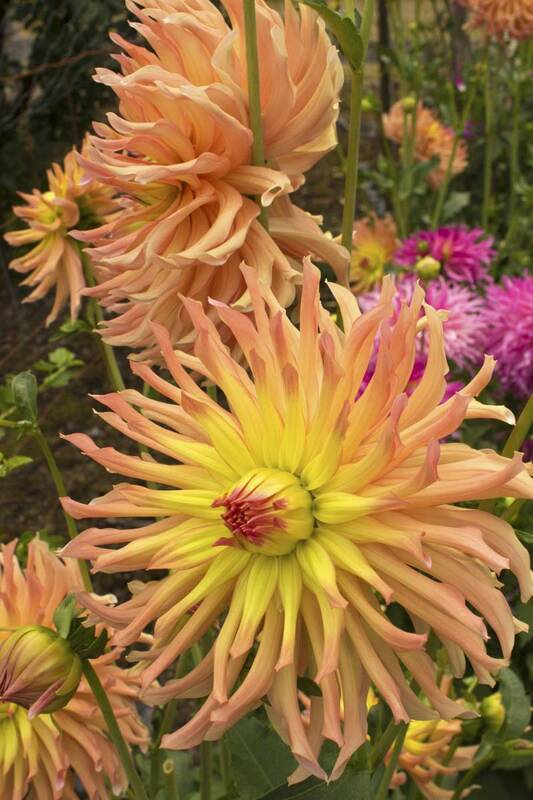 Dahlias are synonymous with fall. 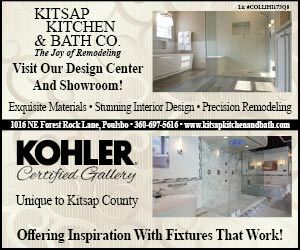 Lush blooms brighten private gardens and public places like the Silverdale Post Office, Port Gamble Post Office and local farmers markets. Gardeners and appreciators of these blowsy, colorful plants can purchase them in bouquets galore or even in containers to plant outside for a few last blasts of festive hues before it all melts away with the first hard frost. 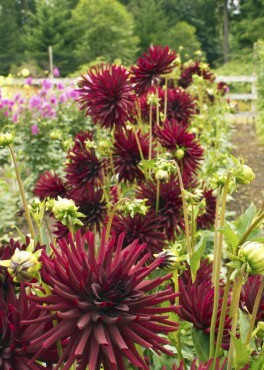 Close relatives to edible Jerusalem artichokes, dahlia petals and bulbs can be eaten. 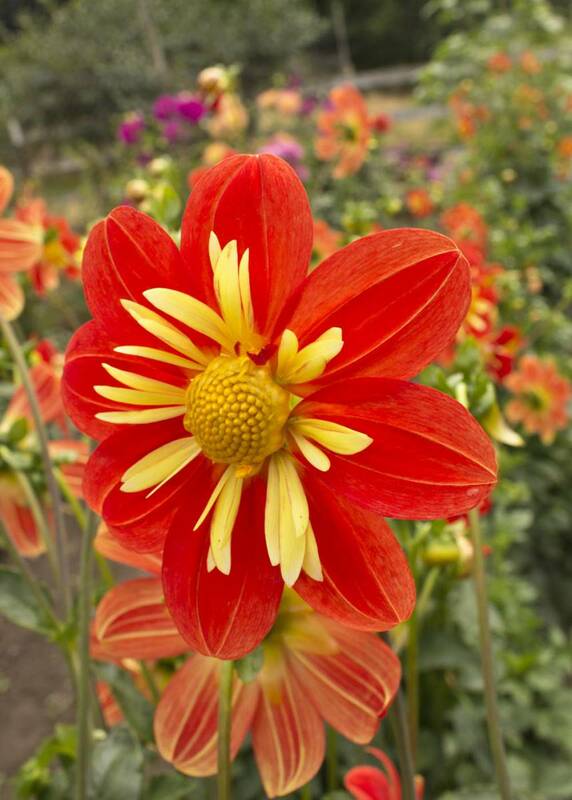 Dahlias were first taken from Mexico to Spain to be used as a food crop, but soon became coveted for their ornamental appeal in gardening and next as show stoppers in horticulture competitions. 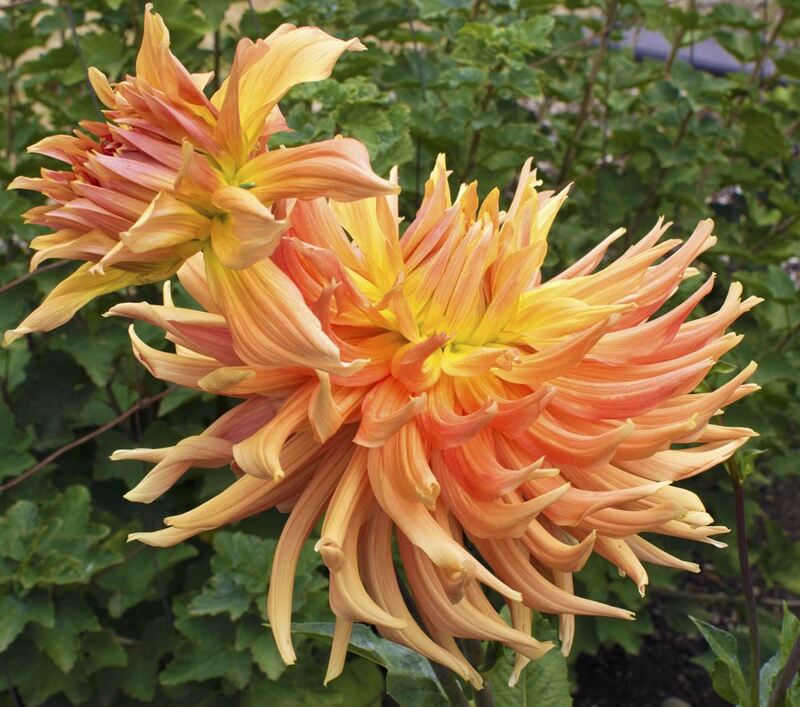 Today, there are 14 dahlia classifications (based on the shape of flowers) and over 18,000 different cultivars. 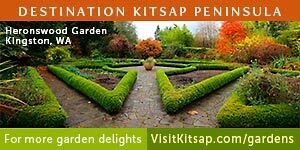 Several cultivars through the years have emerged from Kitsap and Jefferson counties. 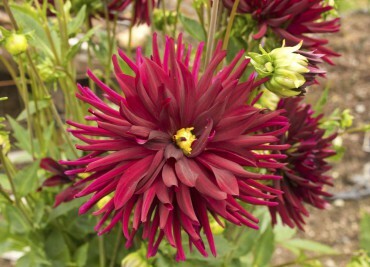 Dahlias can be grown from tubers or cuttings and even seeds. 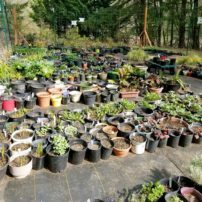 Many gardeners are most familiar with planting them from tubers available at local nurseries and garden society plant sales usually in April and May. 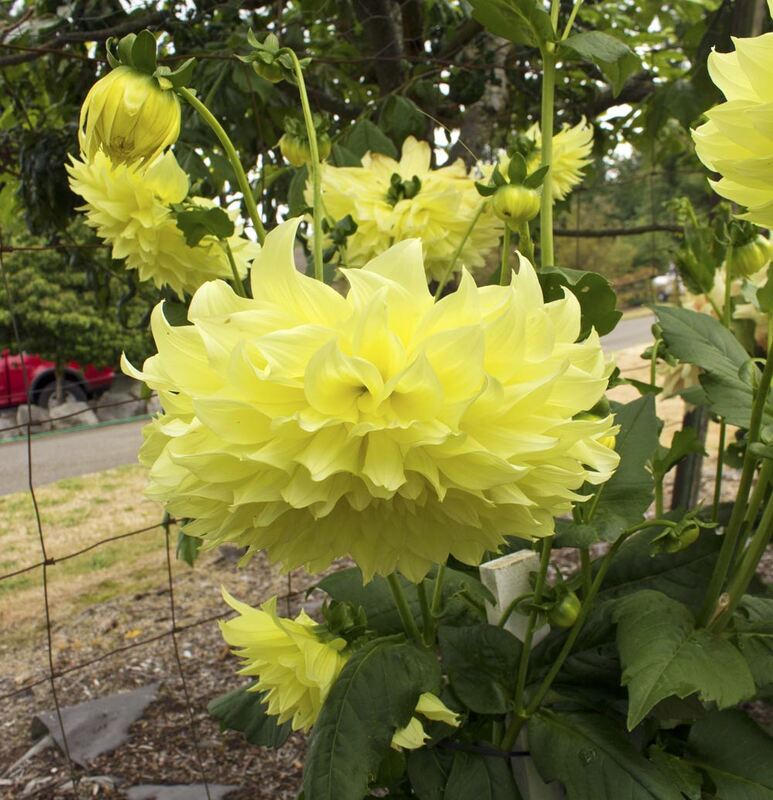 The Puget Sound Dahlia Association, founded in 1978, has a tuber sale every spring and a bloom show each fall. The tuber sale is usually the third weekend in April and the bloom show is usually the first weekend in August. Check the Kitsap Dahlia Society website for details each year. Dahlias are classified according to the form, shape and size of the blooms. 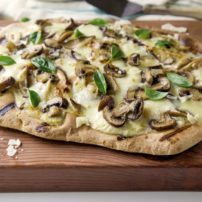 Heirloom varieties go back to the early 1800s. 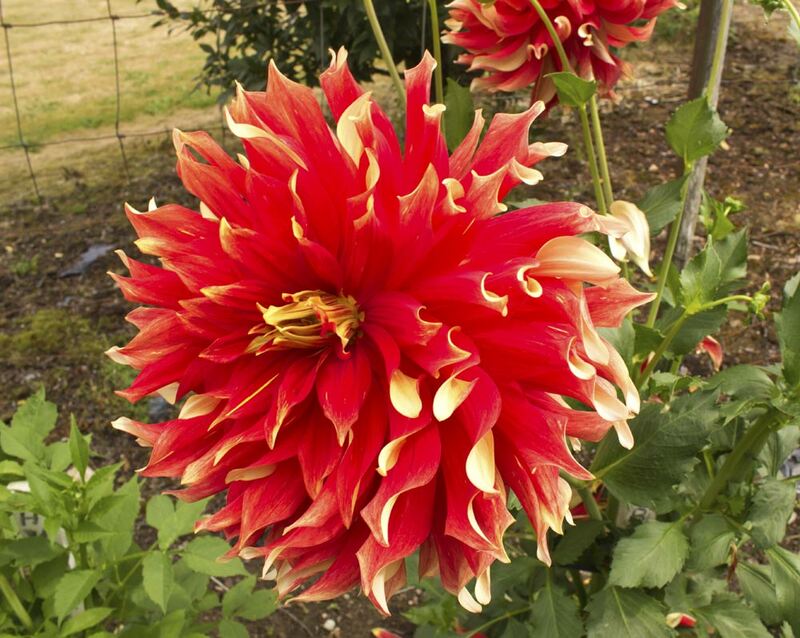 Consult with members of the local dahlia society or study one of the resources listed. Color, size and form is something to ponder when deciding which ones to grow in a garden. 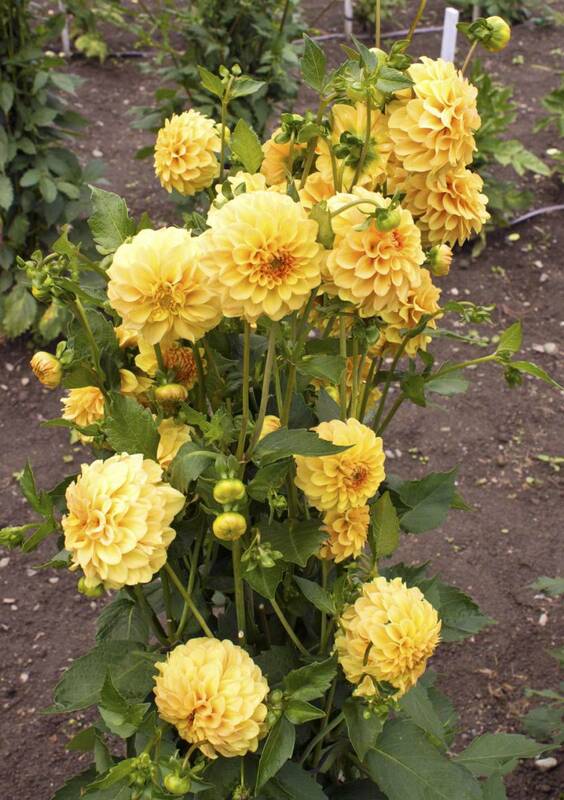 Think about how tall it will grow and how much space is available for the dahlia to spread and flourish. 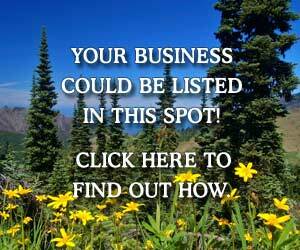 Choose an area with as much sun exposure as possible. 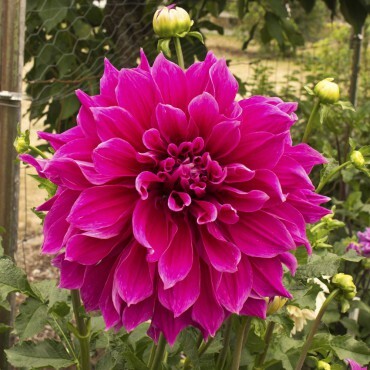 Soil should be well draining during the most soggy months but able to provide the dahlia with good moisture during summer. Plant after the last frost date, which is usually mid-May. Prepare soil in advance of planting. Dig down to at least a foot to loosen up the soil. Check to see how rapidly the soil drains. Dahlias love good drainage but also need sufficient watering (sometimes at least once a week) during the growing season. 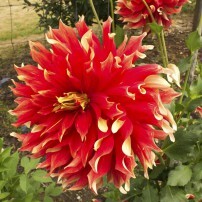 Slugs love tender dahlia foliage, especially when it first springs up. Use slug bait such as Sluggo in the first month to control voracious slugs’ nibbling and destruction. 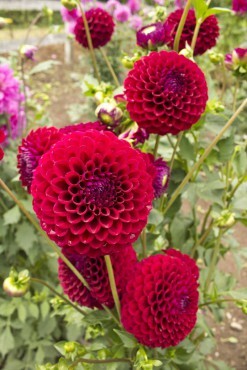 Dahlia tubers have a shape similar to a sweet potato. One end of the tuber will often have a short stub, which is the dried remainder of the stem. Also look for “eyes” (like on a potato). These eyes will be where new stems and leaves emerge as the tubers produce new dahlia growth. Place the tuber running horizontally with this stub (or the eyes) pointing up. Cover with at least 6 inches of soil. 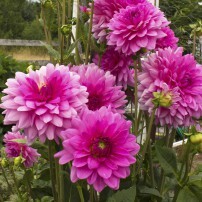 Dahlias that grow quite tall or those with huge blooms will need to be staked later in the growing season. It is best to place the stake during tuber planting time. Wooden stakes can be labeled with the color, name and type of the planted dahlia for future reference. 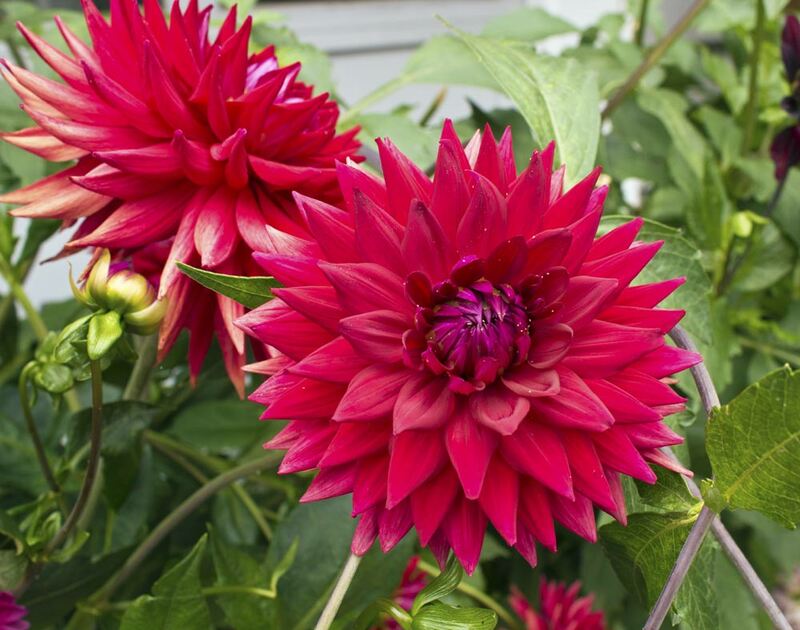 These plants can also be grown from seed and cuttings, but planting tubers or purchasing dahlias in containers from local nurseries is the easiest method for beginners who are just learning how to grow dahlias. 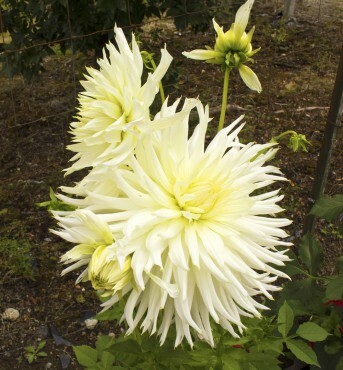 Consult the sidebar references for information on how to start dahlias from seed and cuttings. 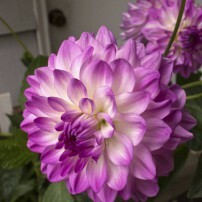 Many dahlia experts recommend fertilizing when the plants are 4 to 5 inches tall with a water-soluble 5-10-10 fertilizer. 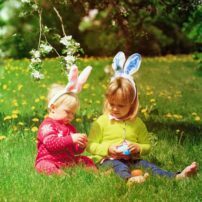 Other seasoned gardeners have great success without fertilizing them. 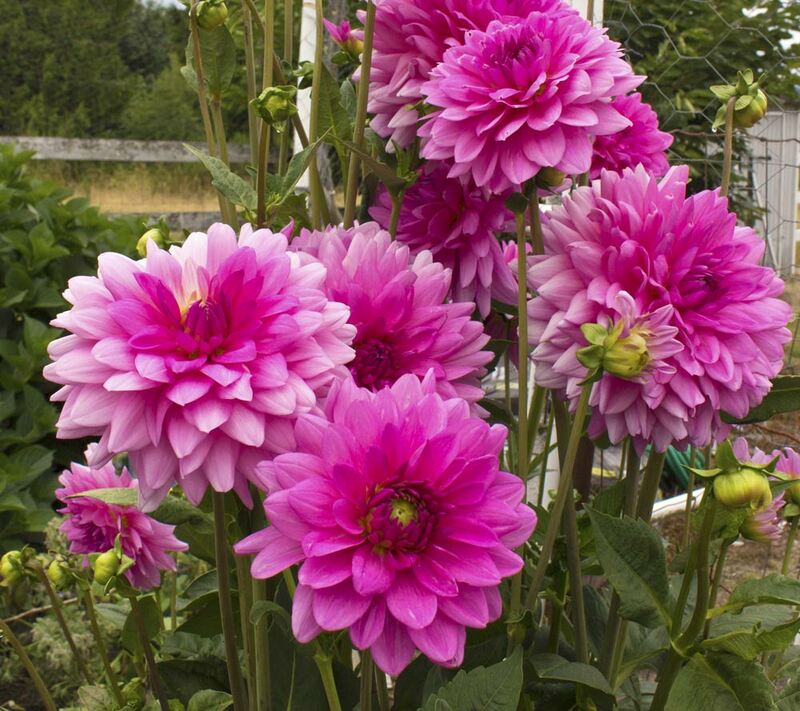 If dahlias are being raised for show though, fertilizers need to be used several times during the growing season. One of the best attributes of dahlias besides a wide selection of foliage sizes and hues is the countless types of blooms from which to choose. 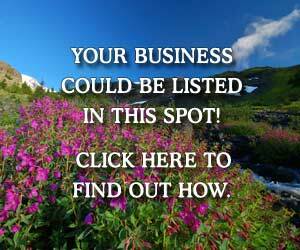 Just a few types are: pompon, miniature ball, ball, dinner plate, orchid, peony, anemone, cactus, single and double. 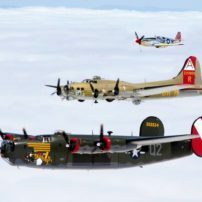 The names are quite descriptive even without photos. Usually each single stem yields three blooms. 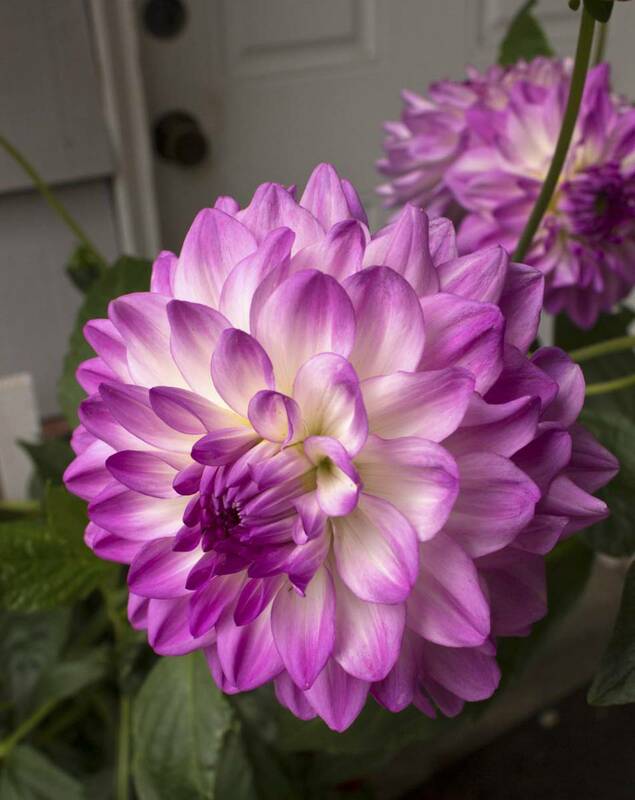 Gardeners who grow dahlias for show usually snip off the smaller two of the bloom buds and encourage only one bloom to grow and flourish. 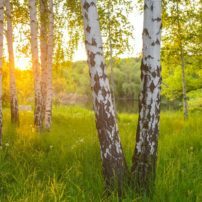 Foliage ranges in colors from light green, lime green and, bright green to dark green and even maroon and nearly black. The more the flowers are cut from the stem, the more blooms the stems produce. 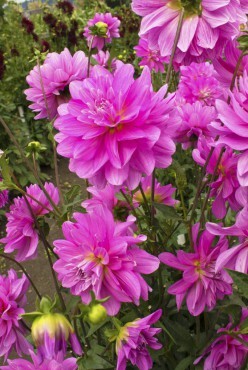 Dahlias are very popular for cut bouquets. 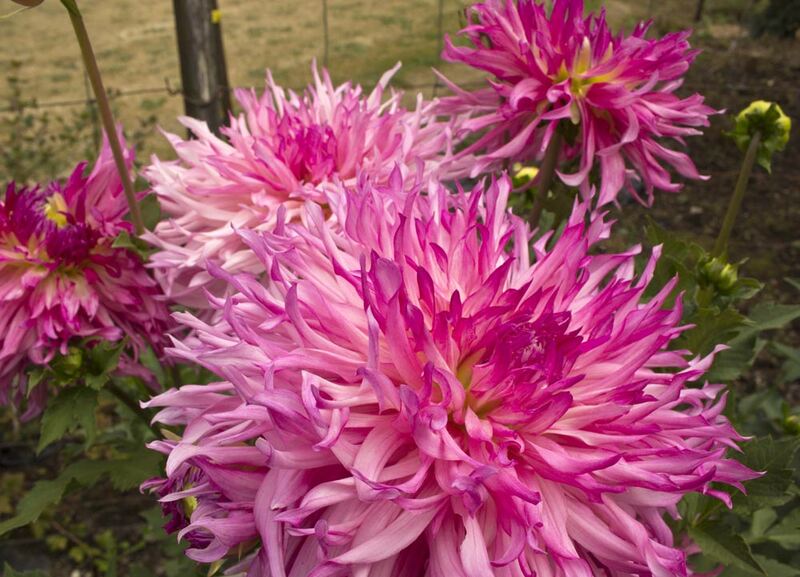 West Sound still has some u-cut dahlia farms where those interested can visit and cut bundles of dahlias to take home and enjoy. If dahlias are planted in well-draining soil, they often only need to be dug up every few years. Some gardeners religiously dig up and divide their tubers every year without fail. 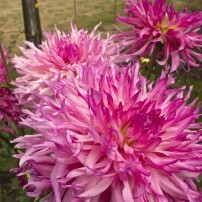 Leaving dahlias in the ground in a really wet and frigid winter can result in losses. However, luckily, many tubers are available throughout the region if your dahlias do not survive through a bad winter. 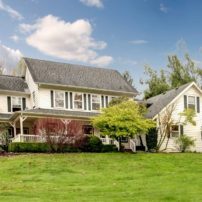 After the first frost, cut back all foliage and wait a day or two. Then dig up the tubers and place them in a cool, dry place to dry for a day or more. A garage, shed or greenhouse works well for this temporary storing of the big bundle of tubers. Then with a sharp, sterile tool, cut off each tuber, leaving one stem stub per tuber. Separate these tubers and let them dry. 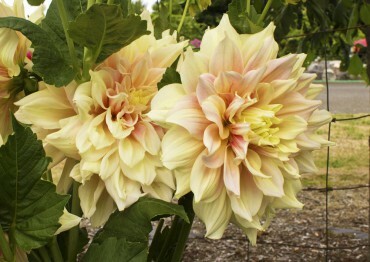 Some dahlia growers use a fungicide or dip the tubers in a mild bleach solution. Others do not. 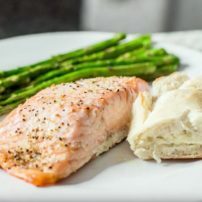 If a liquid fungicide or mild bleach solution is used, allow the tubers to dry thoroughly. 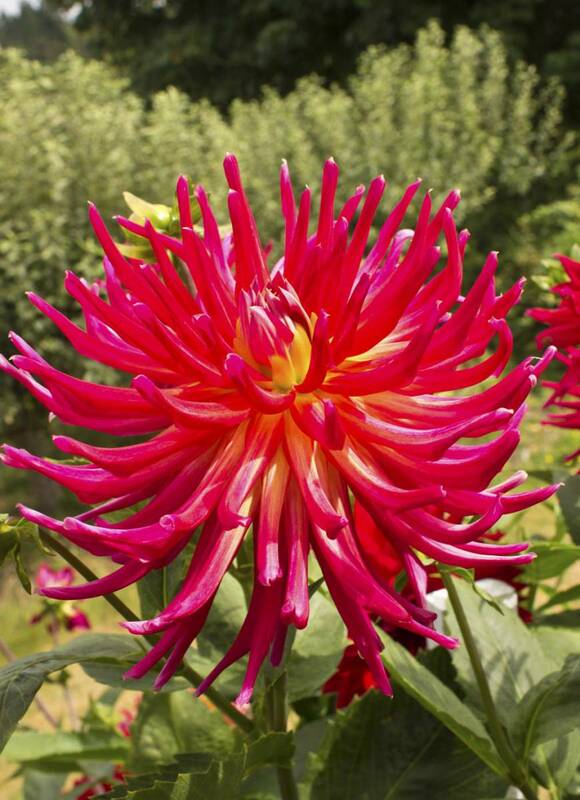 Throughout the winter months, inspect the tubers periodically. 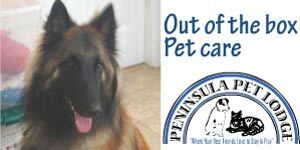 Do not allow them to dry out too much and watch for signs of mold or mildew. Discard any tubers that are too shriveled or show signs of mold or rotting. Employ a way to label the tubers (permanent markers often work) or store them separately, labeling each set of tubers. 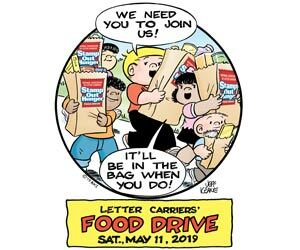 Netted bags, cardboard boxes, burlap sacks, even paper bags — there are numerous ways to store tubers. 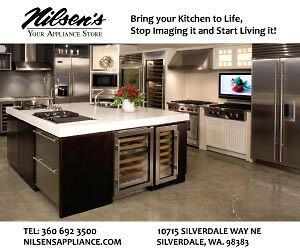 Always store in a cool, dry space with good air circulation. Heirloom and other types of dahlias are edible. 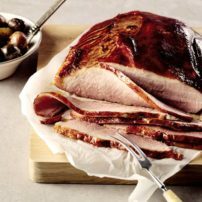 William Woys Weaver is a renowned expert food historian. One of his specialties is growing dahlia seed for food crops. 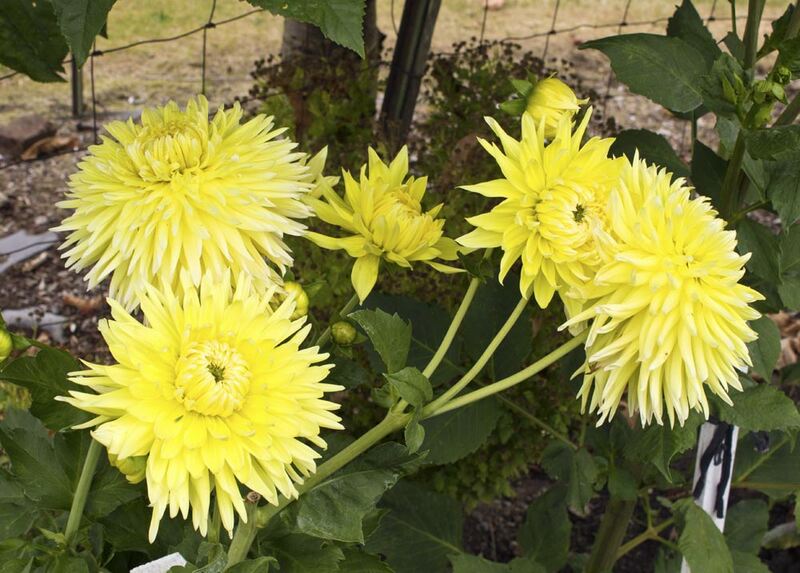 In the August-September 2009 issue of Mother Earth News, he wrote about Dahlia imperialis (tree dahlia) that can reach up to 20 feet. The seeds were sent to Spain in 1789. 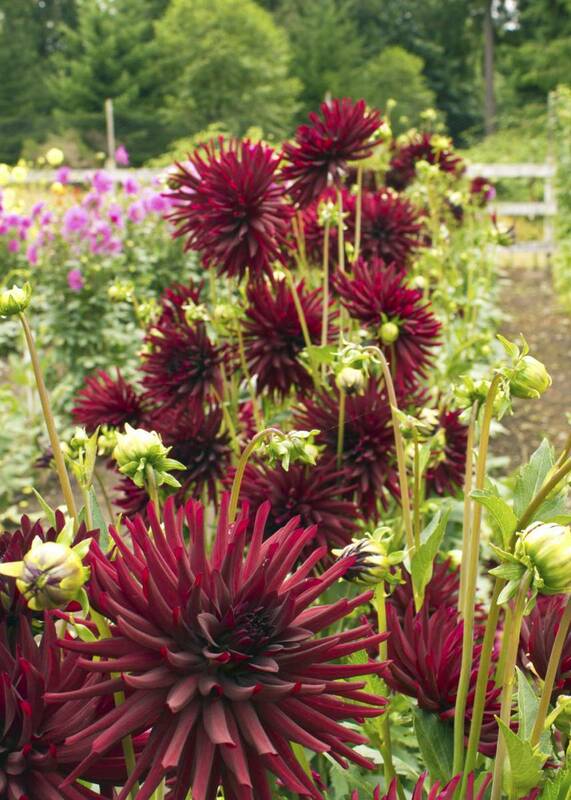 Early European breeders wanted dahlias as a food crop but soon gave up the idea. The taste of dahlias has been described as similar to apple, celery and carrot. Weaver started breeding dahlias for food in 2006 and they are gaining in popularity. Know that the plants reach the height of a tall, full-grown person. Dahlias are said to be very good in salads, roasted and even mashed. Dahlias grown for food should have seeds harvested from the dry seed pods in the fall, stored in a dry place and then started from the seeds in January. 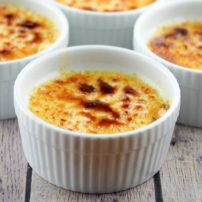 They’ll germinate in warm, slightly moist potting soil. Plant seedlings out when they’re 6 to 8 inches tall and there is no danger of frost. 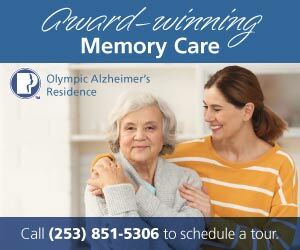 This could be anywhere from mid-April through mid-May in West Sound. 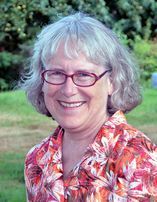 Many thanks go to Marge Norem. 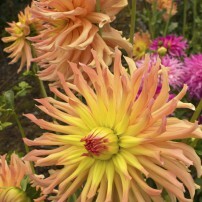 Gorgeous photos of the dahlias in her garden grace the pages of this article.